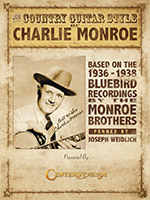 One of the most popular acts of the 1930s was The Monroe Brothers, featuring Bill on mandolin and tenor vocals, and Charlie on lead vocals and rhythm guitar. This great overview of Charlie Monroe�s unique guitar performance style (he used just his thumb and index finger) presents 52 songs, with an in-depth look at the backup patterns & techniques from each chord family, plus special note sequences, common substitutions and stock backup phrases. Includes the bluegrass classics �Rollin My Sweet Baby�s Arms,� �My Long Journey Home� and �Roll On, buddy.� Plus a discography and complete Bluebird recording session info. 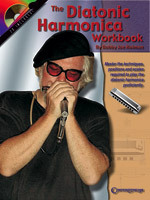 This book is for the person who can already play the diatonic harmonica, but wishes to master the techniques, positions and scales required to play with a greater degree of proficiency. 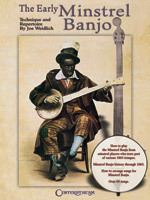 The lessons in the book are presented clearly, and every lesson is then repeated on the accompanying CD as a lesson/rhythm track with and without harmonica parts so you can listen to how the part should sound, then play along. 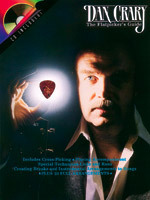 This instruction/method book for flatpicking teaches how to play accompaniments, cross-picking, and how to play lick strums. Examples in the book are explained on the accompanying CD. The CD also allows the player to play along with the songs in the book. 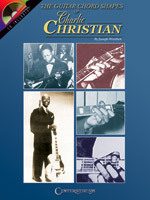 The concepts and fingerings in this book have been developed by analyzing the licks used by Charlie Christian. Chord shapes are moveable; thus one can play the riffs in virtually any key without difficulty by simply moving the shape, and fingerings used to play them, up or down the fingerboard. The author shows how the chord shapes � F, D and A � are formed, then can easily be modified to major, minor, dominant seventh and diminished seventh chord voicings. Analyzing licks frequently used by Charlie Christian, Joe has identified a series of what he calls tetrafragments, i.e., the core element of a lick. The identifiable ""sound"" of a particular lick is preserved regardless of how many notes are added on either side of it, e.g., pickup notes or tag endings. Many examples are shown and played on the CD of how this basic concept was used by Charlie Christian to keep his solo lines moving forward. Weidlich also makes observations on the physical manner Charlie Christian used in playing jazz guitar, and how that approach contributed to his smooth, mostly down stroke, pick technique.